A) Blather on for a good ten minutes praising the miracle that is the Kindle. B) Tell me that while they've never even TRIED a Kindle, they just love the feel of a real book and could never imagine switching. In any case, if you've never tried a Kindle, how can you so vehemently defend print? I mean, I'm sure when electric light came in and replaced whale oil lanterns as a source of illumination, there were plenty of people who challenged the change--waxing nostalgic about the stench of burning rancid marine oil or lamenting the decline of the lucrative whaling industry. But once they TRIED electric light, they quickly changed their minds. And really, when it comes down to it, how good are print books as a reading format? I personally hate reading hardcovers, because they're just awkward. And while there are a few "acid-free" books coming out that will last awhile, most books are starting to decay before you even bring them home from the store. (That "smell" of a book that whale oil-lovers are always going on about is really just the stench of literary compost). 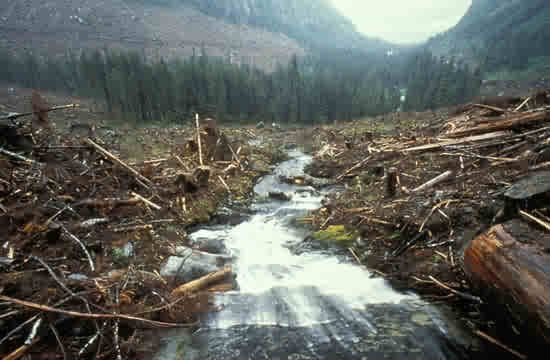 And as for the environmental angle--just look at the freakin' clearcut picture. Most readers don't understand that with the current publishing system, it's not just the paper books you buy contributing to the environmental apocalypse, but all the millions of copies that don't sell and get "pulped" (or half-assed recycled). Sure, there will probably always be a romantic soft spot for paper books, just like there's still a romantic soft spot for ye olde timey oil lamps. But for the most part, the paper book is dead. And anyone who defends it hates whales. So when is your new book coming out? I've been waiting for a long time now. Do you have a title? And will you be doing only an e-book, or will there be a physical copy as well? @anonymous--Book is now scheduled to come out in January. 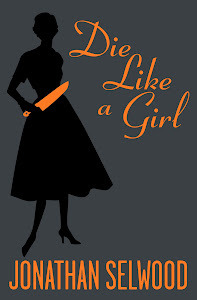 It's called Die Like a Girl (and, in my unbiased opinion, is utterly brilliant). Initially it'll be e-book only, but if the demand it there, I may cave and do a paper copy (you know, so as not to discriminate against people who hate whales). You should do a print copy for sure. Not everyone has a device to read an e-book. I would love to discover any research paper writing service website further would recognize a referral from you. This discourse is a large member of my mark also I would nay love to disorder it up. I usefulness your advice therefore it has helped me discover benevolent hacks in the former.